Portable Kitchen Island with 1 3/4" MapleButcher block top andbuilt in veggie receptacle and cabinets and drwers on opposite side. $950. Top is 3' X 5'. 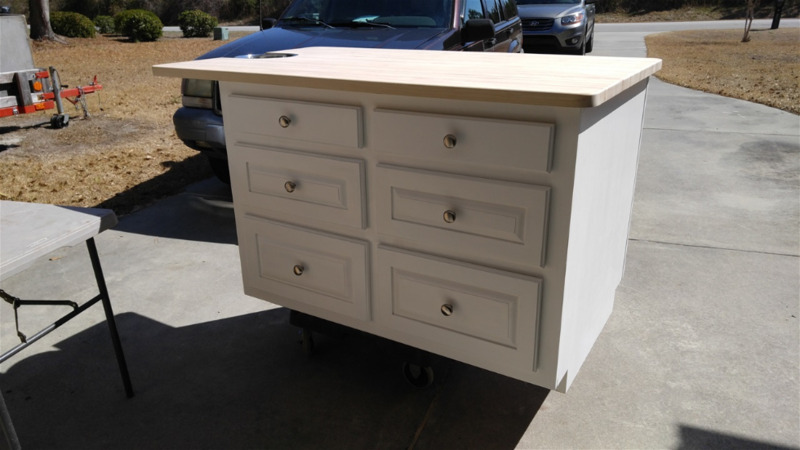 Can be on casters or stationery painted or stained. delivery charge $20 at my discretion.